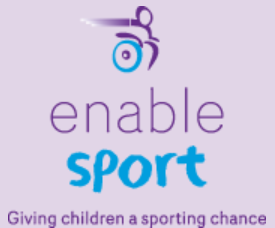 Caudwell Children's Enable Sport programme provides specialist disability sports equipment to support the development of talented children so that they can participate in competitive sport. The programme can provide 80% of the total cost of any piece of equipment. They provide a range of equipment giving young athletes the opportunity to develop their skills and progress in all types of sporting activities at local, national and international levels. 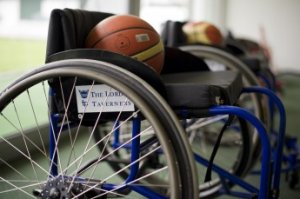 Lord's Taverners sports wheelchairs are donated to disabled young people who require a multi-sports starter chair, clubs can also apply for up to five multi-sports starter chairs to enable even more youngsters to try new sports. For further details, click here, or please contact Nicky Pemberton on 020 7025 0015 or email her. Funding available: Maximum grant per application is £1,500 for a group, club or project and £500 for an individual. The Dan Maskell Tennis Trust is a tennis charity that raises funds for people with disabilities and provides specialist tennis wheelchairs for individuals, clubs, special schools and centres running disability programmes. They also provide equipment / coaching bags for coaches, clubs, special schools disability groups and associations. They grant-aid disability groups etc and individuals with any disability with financial aid towards certain tennis expenses. Maximum grant per application is £1,500 for a group, club or project and £500 for an individual. In all cases, the Dan Maskell Tennis Trust will consider each application on merit. If alternative funding opportunities exist, The Trust will either suggest these or explore them on your behalf. Please give as much information as possible about your tennis activities when applying. The Variety's Wheelchair Programme has opened to consider applications from disabled children and young people up to and including the age of 18 years. They will also consider applications from organisations whose work includes or is aimed at helping disabled children and young people. This includes Schools, Youth Clubs, Hospitals and Sports Clubs. They will accept applications formanual wheelchairs, powered wheelchairs and sports wheelchairs. Written agreement in support of the item required must be provided from an appropriately qualified professional (i.e. the child's Occupational Therapist or Physiotherapist). For requests exceeding £5,000, an assurance must be given by the medical professional that the recommended item is the only model suitable because of the child's particular requirements. The Wheelchair Committee meets to discuss applications six times a year, therefore there is no deadline for applications to be made. All applications are considered on their individual merits, and grants made are dependent on the availability of funds to the Charity at any particular time. Whizz-Kidz provides a range of mobility equipment to children and young people with a physical disability to give them independence at home, at school and at play. Whizz-Kidz also provides sports wheelchairs for children and young people with a physical disability, but they don't list all sports chairs issued as their allocation will be based on the differing needs of each individual and the specific requirement of particular sports. 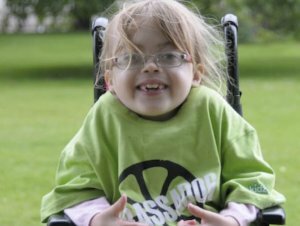 If you're interested in applying for a sports chair, please contact Children's Services by calling 0800 151 3350 or emailing kidzservices@whizz-kidz.org.uk. Please note: If you are applying for a piece of recreational equipment e.g. trikes or sports chairs they will only fund up to a maximum of £2500. If the equipment cost is over £2500 the remainder will need to be funded via other sources. Click here for more information.